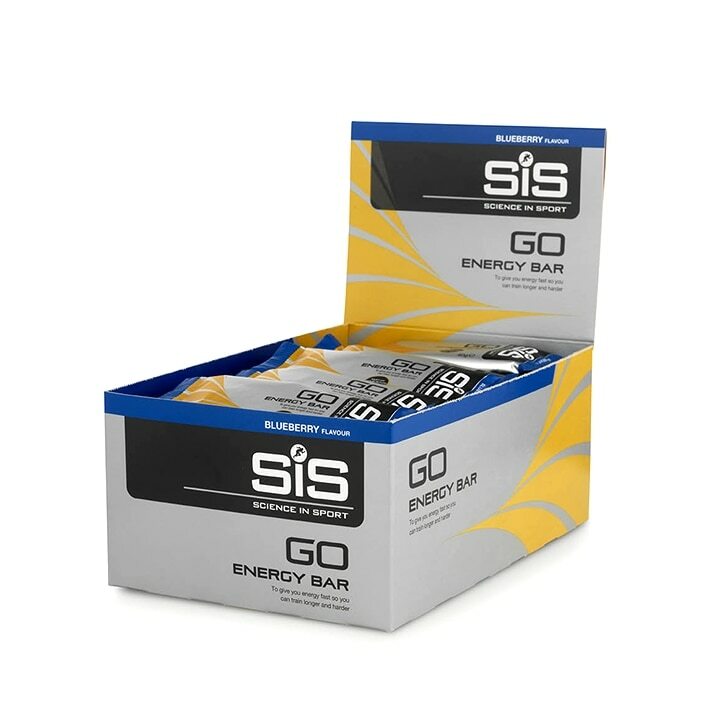 SiS GO Energy Bars provide a nutritious, easily digestible and high carbohydrate based snack that is made from real fruits and wholesome ingredients. Given the reduced size of the GO Energy Bars Mini (compared to the larger GO Energy Bars), they provide a highly practical and nutritious approach to supplying carbohydrate during exercise. Indeed, they are high in carbohydrate (26 grams), moderate in protein (4.5 grams) and low in fat (2 grams) can easily be carried in your pocket or your race belt. Grape Juice, Apple (63%) (Apple Juice,Apple), Maltodextrin (from Maize), Rice & Soya Crisp (Rice Flour, Soya Protein Isolate, Oat Flour, Salt, Vegetable Oil,Lecithin), Raisins, Oats, Blackcurrant Juice, (8%), Soya Protein Isolate, Natural Flavouring, Emulsifier (Soya Lecithin), Humectant (Calcium Lactate), Malic Acid. SIS Go Energy Bar Blueberry is rated 5.0 out of 5 by 2. Rated 5 out of 5 by james1970 from Great tangy taste - recommended! Really enjoyed this bar. It has a lovely taste and is great for munching on the go! Rated 5 out of 5 by Rhys from Good product to use when cycling Used this product when I went cycling, easy to get out of the wrapper and tasted nice as well.